Criminal Minds is an American police procedural television series. It was first broadcast on September 22, 2005, on CBS. 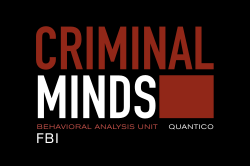 On March 14, 2012, CBS renewed Criminal Minds for an 8th season. ↑ Gorman, Bill (March 14, 2012). "CBS Renews 18 Shows: 'The Good Wife,' 'Blue Bloods,' '2 Broke Girls,' 'The Mentalist,' 'Mike & Molly' & Many More". TV by the Numbers. Retrieved March 14, 2012. This page was last changed on 11 August 2018, at 21:47.